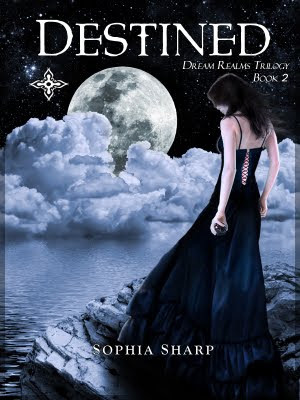 Destined was written by Sophia Sharp. It is the second book in the Dream Realms Trilogy. And she has questions that need to be answered. Just who are the elders, and why have they taken such a keen interest in her? As she starts the unravel the cloak that shrouds their existence, she begins to understand that she may have stumbled into something much larger than herself... and sees her destiny for the first time. All I can say is... MUCH better than book 1.